Since our Air Hogs Heli Replay Review, we have had so many fans wanting us to give one away. Well, of course, we will! Fly, record and play back your flight path with the all-new Heli Replay. With 3 ways to fly, you control the aerial action. 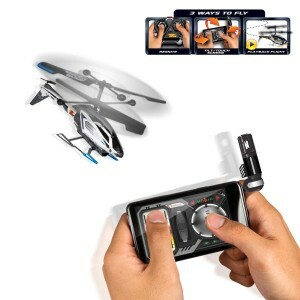 Choose between a remote control or download the free Flight Control App and start flying straight from your Smartphone. Use onscreen controls to fly the Replay, or activate the accelerometer and tilt your phone in the direction you want to fly. The onboard electronic control system automatically prevents unstable movement, resulting in an exceptionally smooth and precise flight experience. Master the art of flight and replay it time and time again with the Air Hogs Heli Replay. 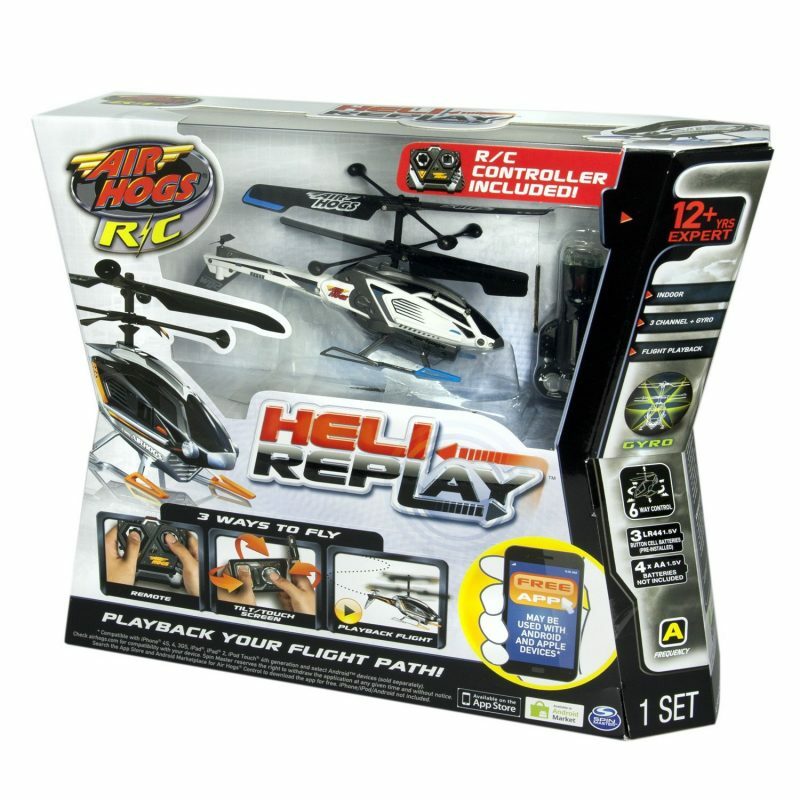 Enter to win your very own Air Hogs Heli Replay! Giveaway is open to US and Canada, 18 years of age and older. Giveaway ends on September 17, 2012 at 11:59 pm EST. Enter via the rafflecopter entry from below. You may need to allow a few moments for it to load. Good luck everyone! I think the review was great. My husband would love to be able to play with the Air Hog Heli from his smart phone. I liked the review, my son really wants one. Liked ur review, its a good honest review! The review was great and it looks like you listen to your customers and gave them something they wanted.That’s what I call customer service. Thanks. Great review- sounds like something my grandson would enjoy. I learned that the Alamo IMAX Theatre Rivercenter has FREE child’s admission. I think it’s a very nice and easy to read review! Loved the review, I think it sounds like something my son would love! Love your review. This sounds like so much fun. This would be a fun upcoming birthday present for my son. No smartphone…just dumb cell phone though. I love the honesty of the review – both on screen and in your written words. Great job! I loved the review, especially how much your son really enjoyed it, I think my kids and my husband would go nuts for this! great review. my kids have been wanting one. Love the review!!! I want to thank you for this awesome sweep and hope to win 🙂 Thanks !!!!!!!!!! I really enjoy the reviews especially the ones with videos. This looks like a lot of fun. Thank you for the great review and giveaway! Your review was honest and forthcoming about the helicopter. The review really sounds like it would be something I would like to get for my Grandsons. I love Air Hogs and this one sounds like a nice addition. It’s too bad you couldn’t get the transmitter to work, but glad to hear the Bandit still enjoyed himself. Nice review. SAVE is a program designed for you to enjoy more of your vacation and spend less money! I learned that if I go on vacation with my family to San Antonio, I can save hundreds of dollars by using SAVE! Pretty awesome! Thanks! It’s cool that it has an app to work with a Smartphone! It’s not cool that they didn’t tell you it wouldn’t work with yours! The Bandit looked so sad! 🙁 But it looks like such a cool toy! I want to win it for my son! it was full of info and I loved it. Helpful Air Hogs review. However, the video seemed a little choppy. Love the review and the helicopter. I have a husband and two boys that would love this! I like how informative it was as far as where to go and what to see in San Antonio, and how to find the discounts to do so…I’m thinking a day trip is in my future…lol..
My son would love to have this Copter, he loves Helicopters! SAVE sounds wonderful for trips to San Antonio! I loved the review. I thought it was great. This would be a good Christmas present to give to one of my cousins. Your revies was very informative. I liked it! my husband would love this! He would chase his boss with it on lunch I know it! You can use this with your phone? Pretty cool! The review made me want one even more. Please Enter Me In Your Air Hogs Heli Replay RC Helicopter Giveaway. This Would Be Great To Win For My Nephew. In Response To Your Requirement Of Leave us a comment and let us know what you think of our Air Hogs Heli Replay review. I Liked Your Review Because It Was Honest. learned they offer a map for hotels,shops,etc. I learned that I can save $2 at Schlitterbahn Waterpark & Resorts with this program! We have always wanted to go there and knowing I can save some money at the waterpark makes it even better! There is a lot to do in San Antonio, thanks for the information! I love it!!! I bought my husband a remote control heli last Christmas and it didn’t work…… took it back to store, everyone else was returning them too…… had a recall. I would love to win this for my Husband for Christmas this year!!! you can view deals via several different methods such as by map, list, and category………. Great Review!!!!!!! I like that the helicopter has 3 radio channels. Good for running 3 at a time!